Despite outcry from local heritage advocates, Hamilton city councillors have voted to let a developer demolish a strip of buildings in the city's historic Gore area and retain the facades of two of them. 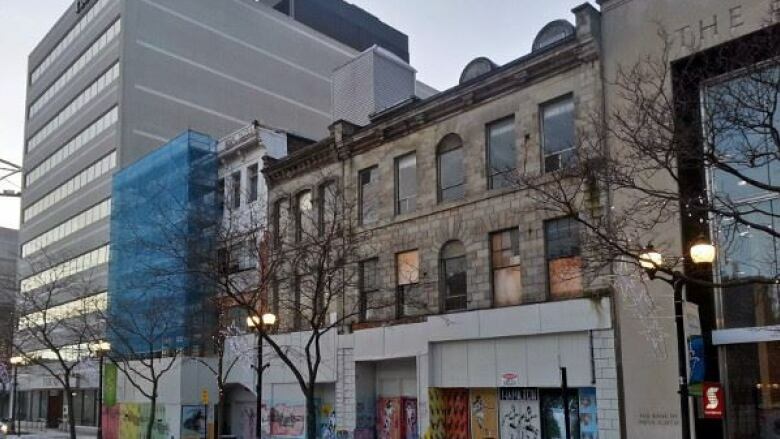 City council's planning committee voted 6-3 to allow Hughson Business Space Corporation to demolish 18 to 28 King St. E. and retain the facades of buildings 18 and 22. There was community outcry against the project, which pending council approval Jan. 25, will become five stories of rental or condos, with commercial space on the ground floor. 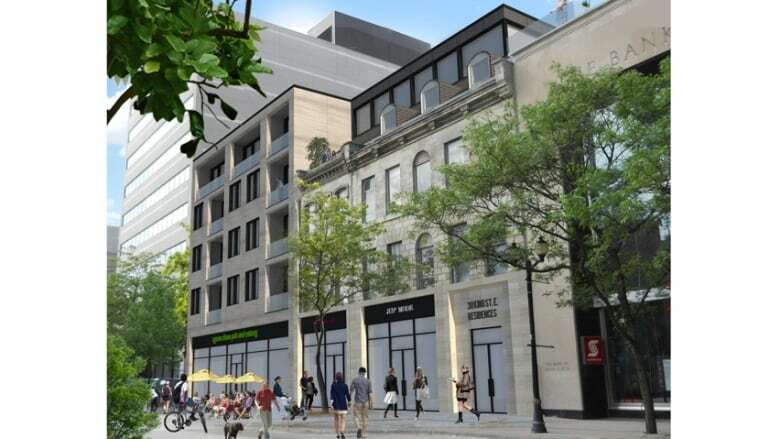 The city's municipal heritage committee also recommended against the demolition. The buildings are key heritage properties in a downtown that's already lost too many old buildings, said the Friends of the Gore, who attended the meeting in green "Save the Gore" shirts. Several neighbourhood associations backed saving the buildings too. City councils used to be "bedazzled by bulldozers" in a time when demolishing old buildings was seen as a way to clean up the neighbourhood, said Ned Nolan from Friends of the Gore. "You're feeling pressure to see something rather than nothing," Nolan told councillors. But the question is "how desperate are we, and what sacrifices are necessary?" But Coun. Jason Farr, who represents Ward 2, said this is the result of three years of compromise. It's time to move forward, he said. "Heritage issues are not always cut and dry," said Farr, who introduced a 2013 motion to designate the buildings as heritage to prevent their demolition. "I'm so sorry on this particular file we don't see eye to eye." The demolition permit expires on Jan. 31, 2021. On mobile? View the blog here.